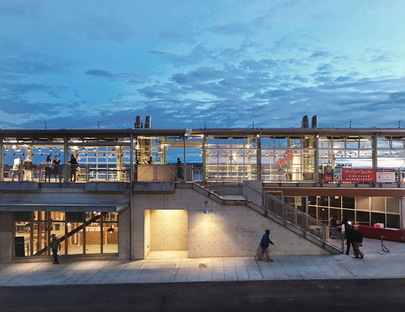 The Miller Hull Partnership, an international, award-winning architecture and planning firm, has received a 2019 AIA Institute Honor Award for Regional and Urban Design for Pike Place MarketFront, a project in Seattle. 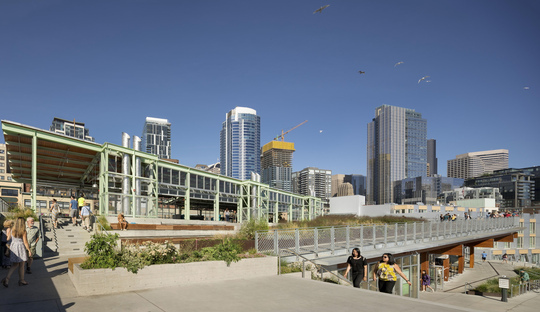 The Miller Hull Partnership, an international, award-winning architecture and planning firm, has received a 2019 AIA Institute Honor Award for Regional and Urban Design for Pike Place MarketFront, a project in Seattle. Recognised for creating a connection between community and architecture. Pike Place Market in Seattle has been a pillar in the city fabric since it opened at the turn of the 20th century. 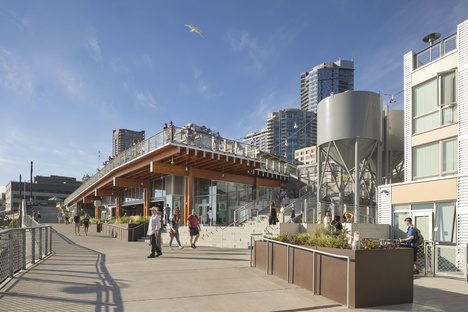 More than just a public marketplace, this urban element has acted as a social binder, bringing together the various inhabitants of the neighbourhood and becoming an integral part of it. This also led to the decision of the Pike Place Market Preservation and Development Authority (PDA) in 2011 to reclaim the site of a former municipal market building that was demolished after a fire destroyed it in 1974. 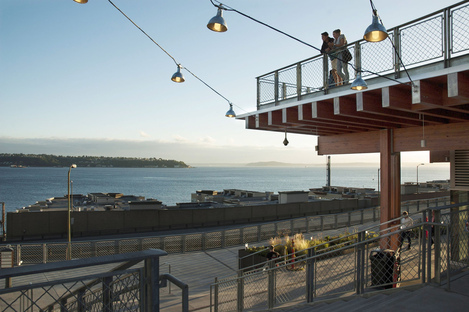 After a competitive process, PDA and the City of Seattle selected a team to design a new community space that complements the culture and spirit of the original market, the second addition to Pike Place Market in nearly 40 years. The selected project, by Miller Hull, leverages the connection with the urban context, becoming a treasured landmark in the city with grand public gathering space, framed by a contemporary lightness and transparency. 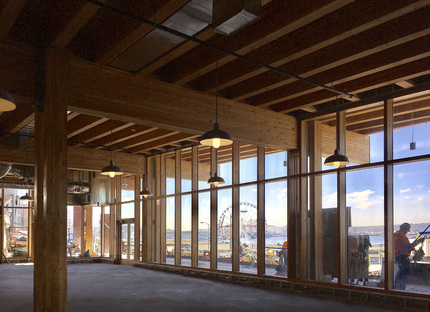 Contextually inspired by the toughness of the Pacific Northwest, Pike Place MarketFront has an open, simple, utilitarian character through its cast-in-place concrete and engineered timber base, capped by an open-air structural steel framed pavilion. 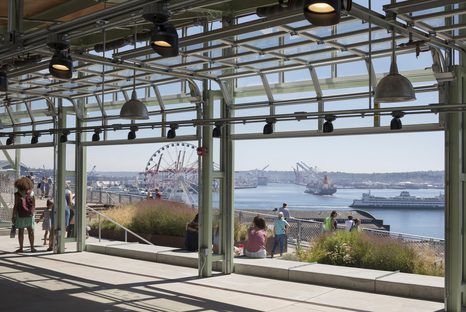 The fact is that Muller Hull's project is much more than a market: Pike Place MarketFront is an active public space built to serve the surrounding community and the nearly 40,000 people from across the world who visit the area each day. As an extension of the existing neighbourhood, the project added 50 market stalls, public restrooms, 40 low-income and senior housing units and retail/office space. Pike Place MarketFront is a real uplift for the city. 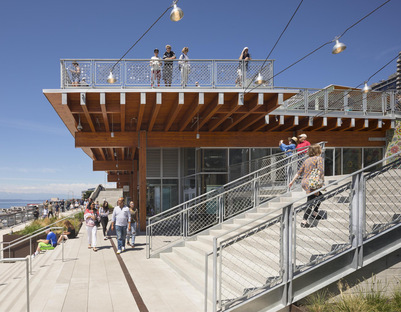 Its programming complexity and the prominence within the community of Seattle demanded real engagement of a wide range of stakeholders, including the market stallholders who would be using the space. Over two years, the design team participated in hundreds of public meetings, seeking comment on design direction and development to sustainably respond to all the needs of the context. 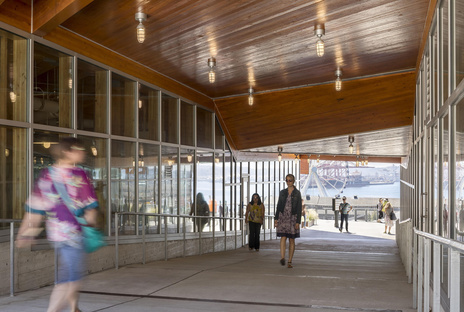 The process may have been long in terms of time but it led to the creation of an aesthetically standout piece of contemporary architecture in Seattle as a really important part of the waterfront revitalisation plan and won the architects in the Miller Hull design team a prestigious acknowledgement. 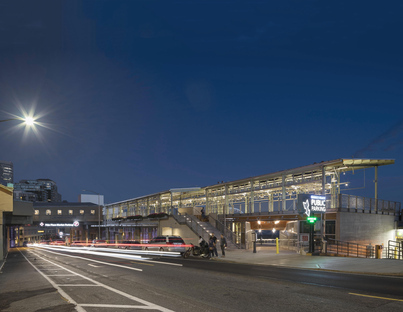 The project received a 2019 AIA Institute Honor Award for Regional and Urban Design. As AIA President William J. Bates, FAIA explains: “This honor underscores the point that the contribution architects make to clients and the public is not only a matter of single buildings, but also how those buildings relate to one another and create the infrastructure for a community and a civilization.” An award that underscores “... the importance of the project to the city, as well as the importance of public space in urban areas in general,” in the words of David Miller, founding partner of Miller Hull design leader of the project.